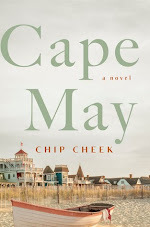 *I won this book from Christy at The Reader Bee. Thank you so much! I definitely can't wait to read this- I love this new take on Romeo and Juliet. 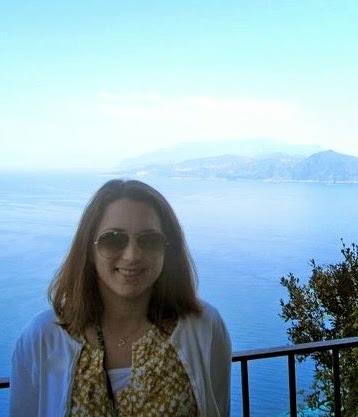 Goodreads says, "The most tragic love story in history . . .Juliet Capulet didn't take her own life. She was murdered by the person she trusted most, her new husband, Romeo Montague, a sacrifice made to ensure his own immortality. But what Romeo didn't anticipate was that Juliet would be granted eternity, as well, and would become an agent for the Ambassadors of Light. For 700 years, she's fought Romeo for the souls of true lovers, struggling to preserve romantic love and the lives of the innocent. Until the day she meets someone she's forbidden to love, and Romeo, oh Romeo, will do everything in his power to destroy that love." *This book was a complete surprise; I was definitely not expecting it at my doorstep! I LOVED Matched and just bought a copy for my classroom library, so I am dying to read this book. Thank you, Dutton! *A big thank you to Tor for sending me this book; I love the premise. Historical fiction plus fantasy? Yes, please! Goodreads says, "The year is 1871, and Tiki has been making a home for herself and her family of orphans in a deserted hideaway adjoining Charing Cross Station in central London. Their only means of survival is by picking pockets. One December night, Tiki steals a ring, and sets off a chain of events that could lead to all-out war with the Fey. For the ring belongs to Queen Victoria, and it binds the rulers of England and the realm of Faerie to peace. With the ring missing, a rebel group of faeries hopes to break the treaty with dark magic and blood—Tiki’s blood. Unbeknownst to Tiki, she is being watched—and protected—by Rieker, a fellow thief who suspects she is involved in the disappearance of the ring. Rieker has secrets of his own, and Tiki is not all that she appears to be. Her very existence haunts Prince Leopold, the Queen’s son, who is driven to know more about the mysterious mark that encircles her wrist. Prince, pauper, and thief—all must work together to secure the treaty…"
If you are interested in what books I bought this week for my library classroom, check out this post. I got the Faerie Ring too! It sounds great, doesn't it? I've heard about "The Faerie Ring." It seems like the kind of book I'd probably enjoy. I hope you like it, and I look forward to seeing your review! OMG Crossed. I'm so envious. I can not wait to hear allllllll about it. I can't wait to read Crossed. I liked Juliet Immortal. I really enjoy retellings of Shakespeare's plays. Ohhhh, great books! 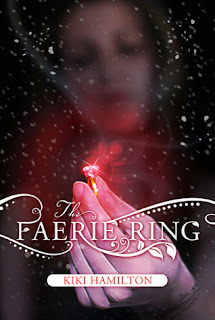 I got The Faerie Ring too, and I can't wait to start on it. :) I'm hoping to read Matched soon too, so I can read Crossed. So glad you finally got Juliet Immortal! :) Enjoy! Great books this week. I can't wait to read Crossed and Juliet Immortal looks really interesting. Happy reading! The Fairy Ring looks beautiful! I really need to read Matched, I can't believe I haven't read it yet. juliet immortal looks awesome! enjoy! The Faerie Ring looks amazing. Enjoy! 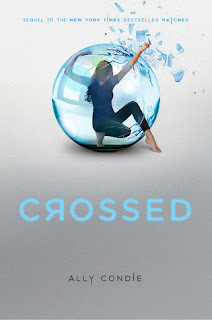 I've read Crossed (definitely changed my opinion of the books so far!) and really want to read the Faerie Ring! the faerie ring looks awesome! CROSSED! I don't know how I have abstained from reading my copy, but I am so excited for it to come up on my pile! I've heard a lot about Juliet Immortal and im excited to read it soon. Also i just one Matched so i'm hoping to read that and then be able to read Crossed. Enjoy all your books and come check out my IMM!! Juliet Immortal and Faerie Ring both sound like incredible reads. Can't wait to read your reviews of them!!! The Faerie Ring is EVERYWHERE this week! 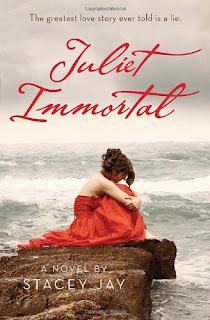 It looks great and I'm really happy to see Juliet Immortal on someone's list again..it was on everyone's a month ago and I still haven't read it yet. Hope you enjoy all your books!